In the last 25 years in Castelraimondo, many have come up with ideas that were later imitated by others. The only constant in these years have been Pierpaolo Casoni and Campus Magnolie. The Campus has been a fertile soil for ideas where, thanks to the experience and creativity of its founder and its staff, we continue to carry out ever new and original projects. 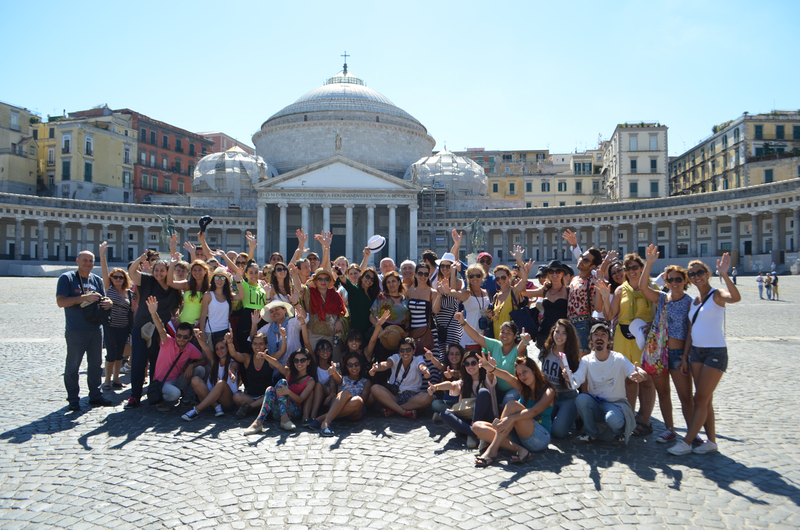 Our first goal is to offer a life experience through the study of Italian language and culture and the numerous excursions, which are amazing and unforgettable. In order to do this, we have planned itinerant lessons, intercultural events, new excursions, to allow those who come back to live something new. The second goal, linked to the first, is to host more and more students from various parts of the world. 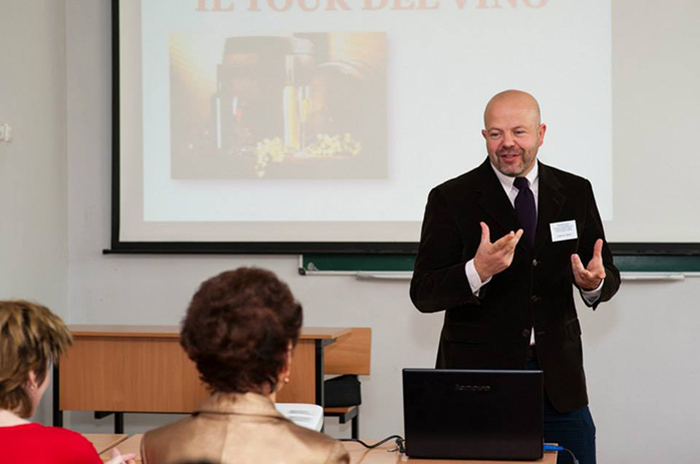 We believe in cross-culture as a source of enrichment, and for this reason, Director Daniele Donati and other staff members travel around the world to present our projects and to offer cultural lessons, seminars for teachers and scholarships. An important point for us, in promoting the Campus, is to get wherever possible a direct agreement with Italian language and culture institutions so to be able to offer benefits to both the students and the institutions. The third goal is the development of a community, virtual and not, of people who are passionate about teaching Italian L2 / SL. To do this, we created the CampusLAB project, the Campus Magnolie Italian language teaching lab. Within this project there are seminars for teachers and scholarships to allow them to keep updated. The idea of the community is to cultivate our passion together with our staff and the institutions that work with us. The scholarships are our way to thank teachers for trusting us and they also promote sharing, another element in which we strongly believe for our growth and to do our job at our best, that is, teaching Italian language not in the best possible way but in the best possible ways. Our school has no constraints of any kind with publishers requiring the use of manuals and teaching texts. We are “free” to work with all the teaching materials present in the market and select them according to the programs of the Common European Framework of Reference for Languages (QCER). This is because we believe that the teacher has to select the topics of the texts according to the interests of the students. This research and selection is obviously more difficult, but it allows us to offer better service and more effective teaching. We have more ideas and projects we are already working on.